Preheat oven to 180°c. For the aioli, place the garlic in the centre of a piece of foil. Drizzle with olive oil, enclose and roast for 20 minutes until the garlic is very tender. Cool then remove garlic from the casings and mash with a fork. Combine with the mayonnaise, lemon juice and mustard, season to taste and set aside. Season the mince with salt and white pepper. Divide into 8 portions and gently form into patties about 2cm thick. Heat a hotplate or non-stick frypan over medium high heat. Add a little olive oil to the pan and cook the patties for 2-3 minutes a side until well browned. For the final minute of cooking on the second side, add a folded torn piece of cheese and allow to melt on the patty. For the oregano salt, combine all the ingredients and rub between your fingers to infuse the salt. Meanwhile, warm flatbreads in the pan for 1 minute until softened then layer down some tomatoes. Top with pickles, patties with cheese, chips, mustard aioli, parsley and some of the spiced oregano salt. Wrap and enclose with paper. For the tzatziki, place the yoghurt in the centre of a piece of cheesecloth or clean chux. Tie the ends together and hang in a strainer in the fridge for at least 6 hours so some of the excess liquid is strained. Remove the hung and strained yoghurt and combine with the remaining ingredients, season and chill until needed. For the quick pickle, combine all the ingredients in a bowl and set aside for 10 minutes to pickle. For the patties, combine all the ingredients in a bowl and use your fingers to bring the mixture together. Divide into 4 portions and roll into balls. Place in the freezer for 10 minutes to firm up then flatten into burger patties, slightly larger than the bun as they will shrink when cooking. Heat a hotplate or non-stick frypan over medium high heat. Brush the patties with oil and cook for 2-3 minutes a side until well browned. Combine the miso and butter then brush over both sides of the buns. Place under the oven grill, cut side up until slightly browned. Layer the burger with a slice of cheese then top with a patty and another slice of cheese. 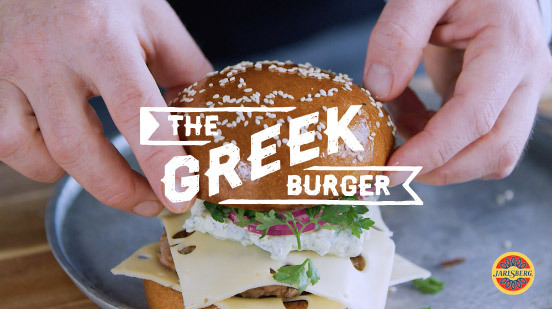 Top with some tzatziki, onion pickle and parsley leaves then the bun lid. For the patties, combine the minces and season well with salt and white pepper. Use your hands to bring the mixture together. Divide into 4 portions and roll into balls. Flatten into thin burger patties, larger than the bun as they will shrink when cooking. Press the white onions into the patties and then chill for 15 minutes between baking paper. Combine the vegemite and butter then brush over both sides of the buns. Place under the grill, cut side up until slightly browned. Heat a hotplate or non-stick frypan over medium high heat. Brush the patties with oil and cook onion side down first for 2-3 minutes then flip and cook for a further 2-3 minutes until well browned. Top each with a piece of cheese and allow to melt over the patty. Layer the burger with the shredded lettuce then the patty, pickles and the bun lid, which has been spread with tomato sauce. This Promotion commences at 09:00 AEST on 1 December 2018, and closes at 23:59 AEST on 31 March 2019 (the Promotion Period). 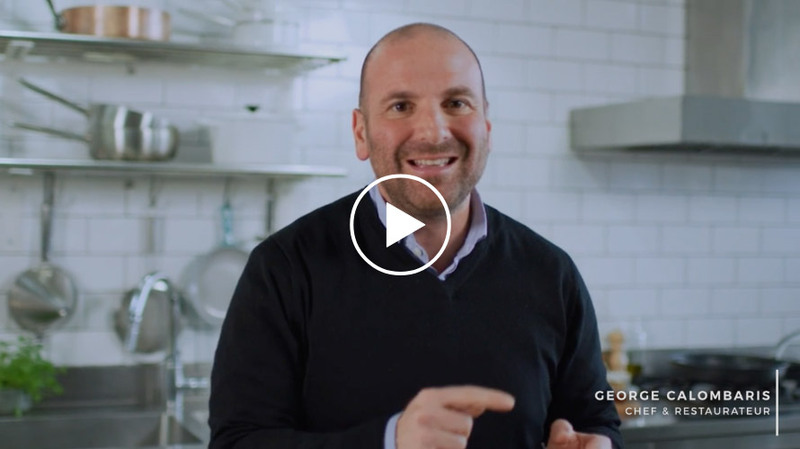 Is not a director, manager, employee, officer and contractor (and their immediate families) of the Promoter or any participating retail or foodservice outlets, agencies or companies associated with this Promotion (the Eligible Entrant). Immediate families means spouse, parent, child or sibling (whether natural, half, step or by adoption) whether or not they live in the same household. 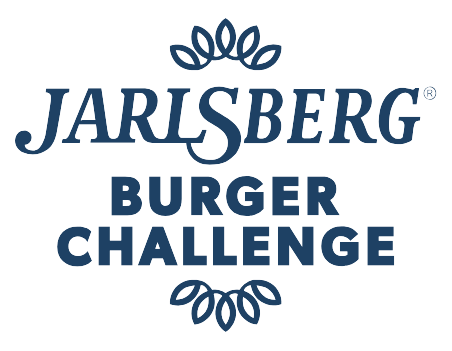 Share a picture of a Jarlsberg® Burger (created by the Entrant) and include the hashtag, #jarlsbergburgerAUNZ, in the caption or comment field under a post on Facebook or Instagram; or by sharing a picture or film on Instagram using the hashtag, #jarlsbergburgerAUNZ. Entrant to include comment as to why their creation is special. Participation in this Promotion is deemed acceptance of these terms and conditions (the Terms and Conditions). Multiple entries are permitted, subject to each entry being submitted separately and in accordance with the Promotion requirements. One (1) x Major Prize and thirty (30) x Minor Prizes will be awarded. Two (2) x return airfares exiting Sydney, Australia (Sydney) and flying to Oslo, Norway (Norway) with Emirates Airline, return transfer from the Norway airport to the hotel which includes seven (7) nights accommodation in a 4-star hotel, twin share (which will be selected at the sole discretion of the Promoter). Total Major Prize is valued at $10,164.00 and is required to be utilised by the Major Prize Winner between the period of 01/06/19 – 31/10/19. Note that the Major Prize excludes insurance and any additional travel/food expenses that the Major Prize winner may incur. If travel period is not appropriate, blackout dates are 15 December– 15 January each calendar year. Thirty (30) x Jarlsberg® grill kits. The Minor Prizes are each valued at $49.95. The Major Prize and Minor Prizes (collectively to be known as the Prizes) cannot be exchanged for money. The Major Prize and Minor Prize winners (the Winners) will be selected at the discretion of the Promoter. The Winners will have three months to redeem their Prize. The Promoter takes no responsibility for any variations in value of any of the Prizes. 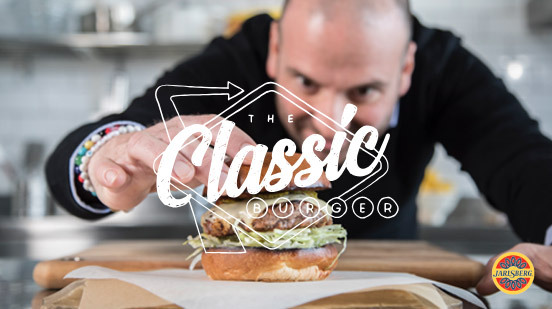 The Promotion is a game of skill and the Winner(s) will be judged on the most original, creative contribution and tempting presentation of the burger creation. Chance plays no part in determining the winner. The Promoter’s decision is final and no correspondence will be entered into thereafter. The Promotion judging will take place at the Promoter’s head office located at 118 Wetherill Street, Silverwater NSW 2128 at 13:oo AEST on 15 April 2019. The Winners will be notified that they have won via the social media account that was used when entering the Promotion within two (2) days of the Winners being selected. Each Winner of a Prize must claim there Prize within three months. The Promoter will not be liable for a Winner who cannot be contacted. If a Prize remains unclaimed after three months of a Winner being notified, that Winner will forfeit the Prize and the Prize will be awarded to another Eligible Entrant in a re-judging commencing at 13:00 AEST on 16 July 2019 at the Promoter’s head office, 118 Wetherill Street, Silverwater NSW 2128. The Prize, or any unused portion of a Prize, is not transferable or exchangeable and cannot be taken as cash. All taxes (excluding GST) which may be payable as a consequence of receiving the Prize is the sole responsibility of each of the Winners. The Promoter’s decisions are final in relation to all matters in this Promotion and no correspondence will be entered into thereafter. Incomplete, indecipherable or illegible entries will be deemed invalid. Any incorrect details submitted may render that Eligible Entrant’s corresponding entry invalid. The Promoter reserves the right, at any time, to verify the validity of entries and any Eligible Entrant (including an Eligible Entrant’s identity, account details and registered business address) and to disqualify any Eligible Entrant who submits an entry that is not in accordance with these Terms and Conditions or who tampers with the Promotion entry process. Failure by the Promoter to enforce any of its rights at any stage does not constitute a waiver of those rights. If any Prize (or part of any prize the Prize) is unavailable for any reason, the Promoter will, in its absolute discretion, reserve the right to substitute the Prize (or that part of the Prize) with goods or services of no lesser retail value and/or specification. The Promoter accepts no other liability or responsible for any loss incurred by a Winner or any other party if the Prize (or part of the Prize) is unavailable for any reason. The Promoter assumes no responsibility for any failure to receive any communication or for any loss, damage or injury as a result of technical or telecommunications problems, including security breaches. If such problems arise, then the Promoter may modify, cancel, terminate or suspend the Promotion unless to do so would be prohibited by law and subject to the regulations of the gaming authorities. The Promoter may, at its absolute discretion, disqualify all entries from any person, and prohibit the further participation of that person in this Promotion, if that person: (i) fails to establish their status as an Eligible Entrant to the Promoter's satisfaction; or (ii) tampers with or benefits from any tampering with the entry process or the operation of the Promotion; (iii) submits an entry which in the Promoter's opinion is not in accordance with these Terms and Conditions; or (iv) acts in a disruptive manner or acts with the intent to annoy, abuse, threaten or harass any other person. Any costs associated with accessing the Instagram or Facebook website is the Eligible Entrant’s responsibility and is dependent on the Internet service provider used. If this Promotion is interfered with in any way (including but not limited to infection by computer virus, bugs, tampering, unauthorized intervention, fraud, technical failures) or is not capable of being conducted as reasonably anticipated due to any reason beyond the reasonable control of the Promoter, the Promoter reserves the right, unless prohibited by law, to (a) cancel, terminate, modify or suspend the Promotion, and/ or (b) invalidate any affected entry(s). The Promoter is not responsible for any problems or technical malfunction of any telephone network or lines, computer online systems, servers, or providers, computer equipment, software, technical problems or traffic congestion on the Internet or at any website, or any combination thereof, (including but not limited to) any injury or damage to participants or any other person’s computer related to or resulting from participation in this Promotion or downloading any materials in this Promotion. Eligible Entrants consent to the Promoter using the entrant's name, likeness, image and/or voice in the event they are a Winner (including photograph, film and/or recording of the same) in any media for an unlimited period without remuneration for the purpose of promoting this Promotion (including any outcome), and promoting any products manufactured, distributed and/or supplied by the Promoter. This Promotion is in no way sponsored, endorsed or administered by, or associated with Facebook or Instagram. Any questions, comments or complaints about this Promotion must be directed to the Promoter and not to Facebook or Instagram. Facebook or Instagram will not be liable for any loss or damage or personal injury which is suffered or sustained by an entrant, as a result of participating in the Promotion (including taking/use of a prize), except for any liability which cannot be excluded by law. The laws of New South Wales apply to this promotion to the exclusion of any other law. Entrants submit to the exclusive jurisdiction of the courts of New South Wales. 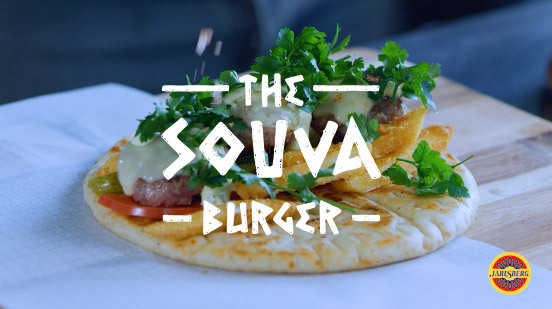 The Promoter is Cantarella Bros Pty Ltd trading as Vittoria Food and Beverage (ABN 68 000 095 607) of 118 Wetherill Street, Silverwater New South Wales, 2128, Australia (the Promoter). The Agent is PMG Media Pty Ltd (ABN 12 081 343 259) of 136 Cathedral Street, Woolloomooloo NSW, 2011, Australia (the Agent).